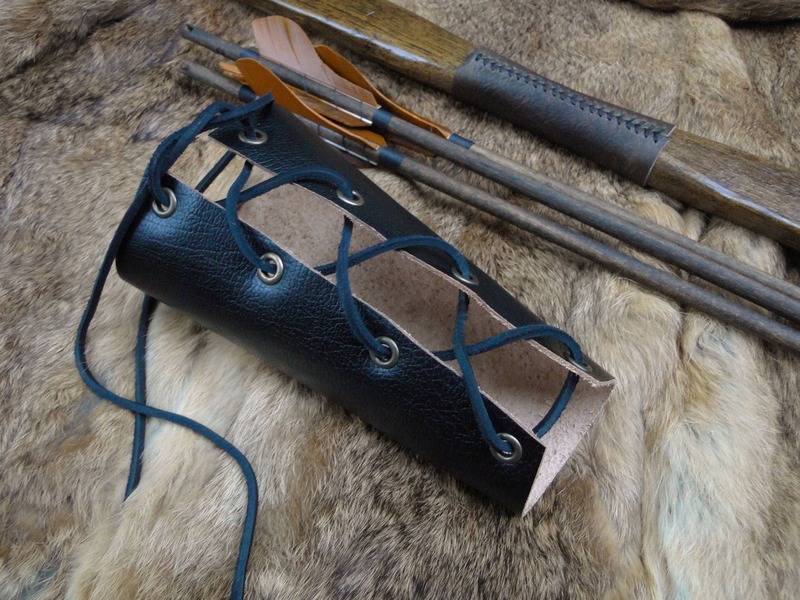 Functional archery arm guard, made with sturdy leather. 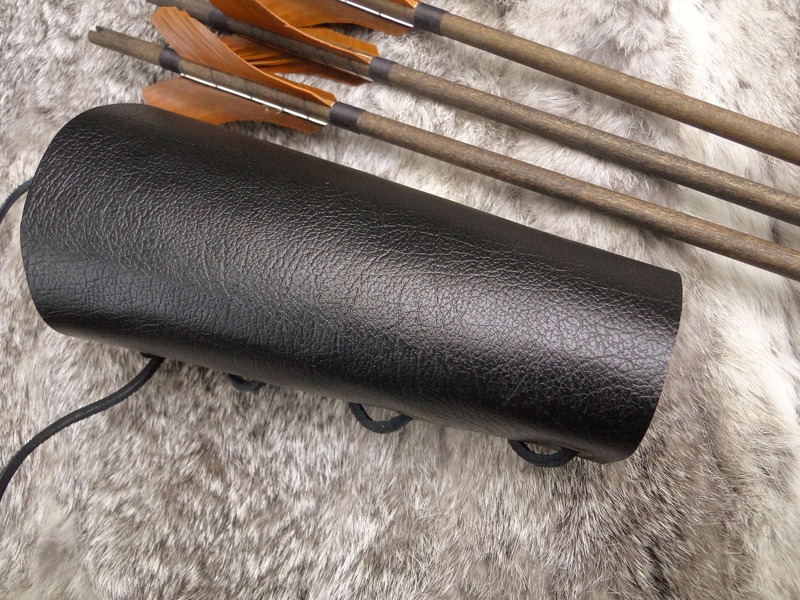 Comfortable to wear while giving good protection from the bowstring. 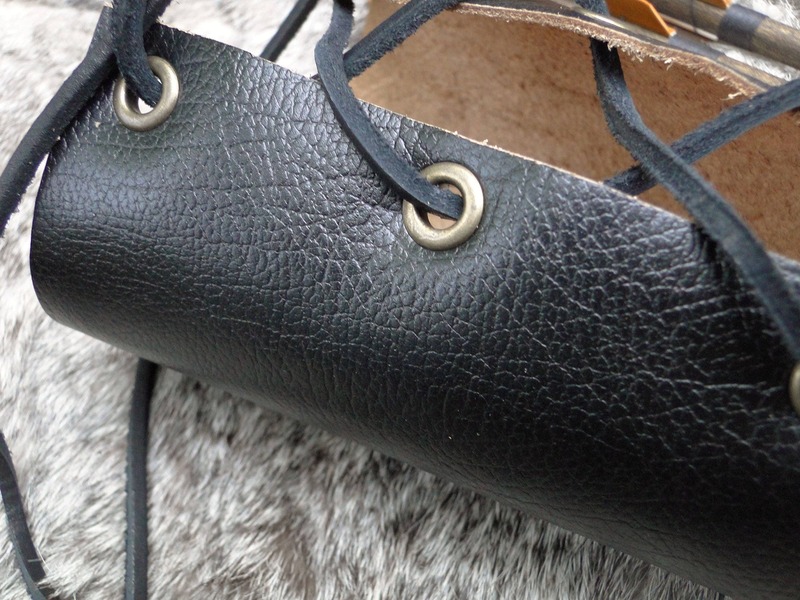 Long black leather tie laces up through antique brass grommets. Easy to put on with just one hand; made for an archer, by an archer. Great for every day archery, or costumes - fantasy LARP, archers, rangers & other common Renaissance Fair folk.